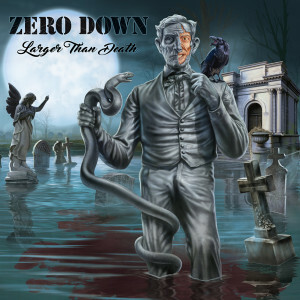 Formed in 2002, ZERO DOWN consists of five veteran musicians from the Seattle metal/punk rock scene that cast iron 70’s Arena Rock with classic NWOBHM guitar riffs to bring the old school metal traditions to the present! 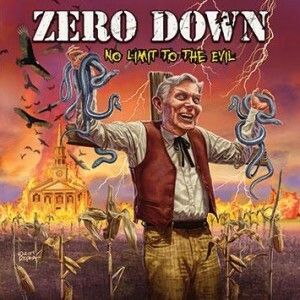 Over the past decade ZERO DOWN has released three scorching slabs of their metal rock (Old Time Revival, Good Times At The Gates of Hell and Looking To Start A Riot) and shared the stage with a variety of national acts including UFO, Motley Crue, Diamond Head, Y&T, Raven, Accept, Godsmack, The Accused, The Supersuckers, UDO, Michael Schenker Group, Prong and Paul Dianno. 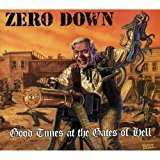 After releasing their last CD independently, ZERO DOWN is now set and excited to release their new ripper on Minotauro Records in the Winter of 2014. Once again the band has reunited with Martin Feveyear (QOTSA, Screaming Trees, Duff McKeagan’s Loaded, etc) at Jupiter Studios in Seattle to lay down this beast and packaging will include artwork by the master of metal art, Ed Repka (Megadeth, 3 Inches of Blood, Death, Misfits, etc). Titled “No Limit To The Evil” this new opus features ten new cuts and is our heaviest release to date so scream for me motherfuckers! ZERO DOWN!